Mohan Ibrahim told the New Zealand Herald: “At first we thought it was an electric shock but then all these people started running. “I still have friends inside. 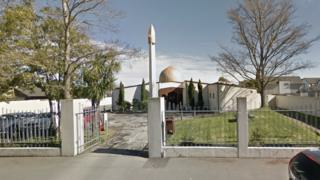 The Al Noor mosque is located in central Christchurch along Dean Avenue, facing Hagley Park. Witnesses have reported seeing bodies, but this has not been confirmed by police or officials. There are reports that a second mosque in the suburb of Linwood has also been evacuated. A spokeswoman said Canterbury District Health Board (CDHB) has activated its mass casualty plan, according to New Zealand news site Stuff.nz. The plan includes clearing emergency room space for casualties. The spokeswoman did not comment on how many patients were expected. Police have cleared Cathedral Square, where thousands of children were holding a rally for action on climate change. Police Commissioner Mike Bush said: “A serious and evolving situation is occurring in Christchurch with an active shooter. “Police are responding with its full capability to manage the situation, but the risk environment remains extremely high. “Police recommend that residents across Christchurch remain off the streets and indoors until further notice. Christchurch schools will be locked down until further notice. A reporter following the Bangladesh cricket team, who are currently in New Zealand, tweeted that the team had “escaped from a mosque near Hagley Park where there were active shooters”.